This Policy of Ethical Practice (the "Policy") covers a wide range of Robert Morris University practices and procedures. It does not cover every issue that may arise, but it sets out basic principles to guide all employees of Robert Morris University and its subsidiaries (collectively referred to as "Robert Morris University" or the "University"). Robert Morris University employees must conduct themselves in accordance with this Policy and seek to avoid even the appearance of improper behavior. Robert Morris University's agents and representatives, including consultants, vendors and volunteers, are also expected to abide by this Policy. Employees must comply with all applicable federal, state and local laws. If a provision of this Policy conflicts with a law, employees must comply with the law. This Policy supersedes all other codes of conduct, policies, procedures, instructions, practices, rules, or written or verbal representations to the extent that they are inconsistent with this Policy. However, this Policy does not supersede the provisions of any applicable collective bargaining agreement. 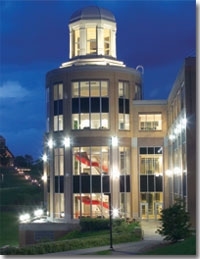 Robert Morris University continually reviews its policies and procedures and reserves the right to modify, supplement, amend or delete any provisions of this Policy.